Wind River, written and directed by Academy Award nominee Taylor Sheridan (Best Original Screenplay, Hell or High Water, 2017), arrives on Digital HD October 31 and on Blu-ray™ (plus Digital HD) and DVD November 14 from Lionsgate. Following its critically acclaimed premiere at the 2017 Sundance Film Festival, the Rotten Tomatoes Certified Fresh™ film stars two-time Academy Award nominee Jeremy Renner (Best Actor, The Hurt Locker, 2008; Best Supporting Actor, The Town, 2010) and Elizabeth Olsen (Avengers franchise, Ingrid Goes West), alongside Gil Birmingham (Hell or High Water), Jon Bernthal (“The Walking Dead,” The Wolf of Wall Street), Martin Sensmeir (The Magnificent Sevenfranchise), Kelsey Asbille (“Teen Wolf,” “Embeds”), and Julia Jones (The Twilight Saga Franchise). The home entertainment release of Wind River features all-new bonus content, including a never-before-seen video gallery and deleted scenes. 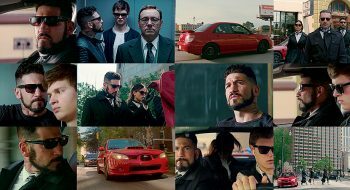 Our gallery was updated with screencaptures of “Baby Diver”, written and directed by Edgar Wright, starring Ansel Elgort, Jon Bernthal, Jon Hamm, Lily James, Kevin Spacey, Jamie Foxx. DVD and Blu-Ray were released this month, October/2017. SDCC 2017 is finally here. 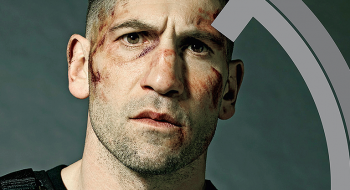 Jon Bernthal attend the second day of the comic con this friday where he promoted his new show Marvel’s The Punisher. Our gallery was updated with several pictures from press, panel and portrait sessions, take a look!